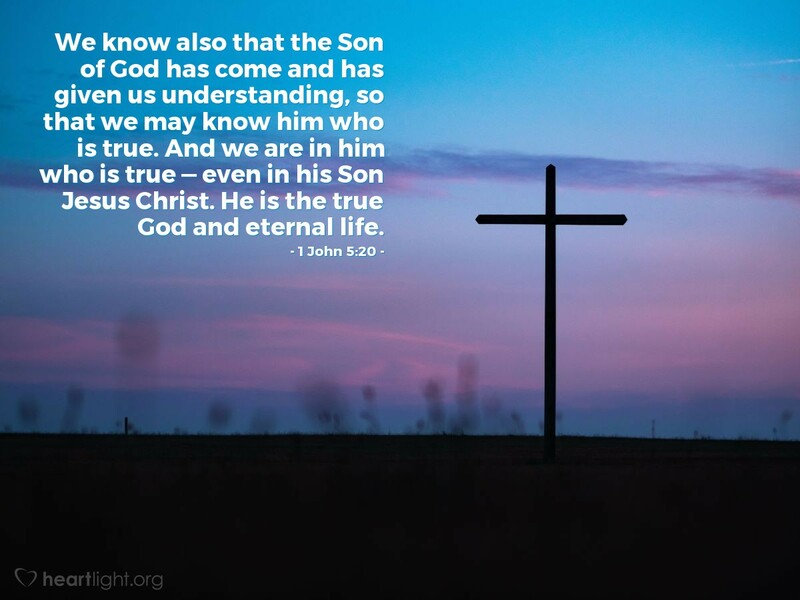 Jesus came to reveal God to us. He has given us the clearest picture yet of what God is really like. Because of Jesus, we can know God, the only one who is truly genuine. Because we are in Christ, we share that special bond with the Father and find in him a whole new quality of life. This life won't end when our bodies die, and eternal life begins now, as we walk with him each day and extends unto forever. For the eternal and transcendent God to make himself known to us is grace. For him to do it in Jesus is salvation! Holy and awesome Father, I know that because my life is joined to you through Jesus, I will enjoy your presence forever. I love you for all you have done for me and the terrible price you paid to redeem me from my sins. I love you for creating me and having a plan for my life when no one else knew I was even conceived. Most of all, I love you for being God and choosing to be the kind of Father who wants his children to know and love him. In Jesus name. Amen.